Having already shared the background, approach, preparations strategies and books referred for UPSC Prelims and Mains, Gaurav shares his views on the importance of UPSC Interview. He has elaborated about the areas from where he expected questions. 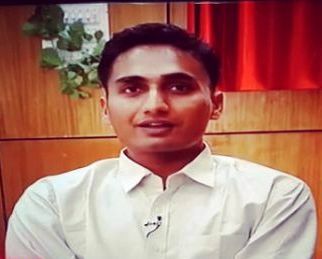 You can also read Gaurav Agrawals UPSC interview transcript in the link provided in this post. Enjoy! First, would like to clarify the myth that UPSC interview is only of 275 marks i.e. 10-15%. The real weight of the interview is at least 40%. The reasons are: a) UPSC has developed a habit of giving very less marks in mains. This is a relative exam and only difference of marks between us and others matters. Naturally if low marks are given in written, then difference of marks from others which we can have by performing well in written will be less. b) Only candidates clearing mains can give interview. So whatever little difference in marks was there in mains gets reduced even further (as the difference in marks among the mains successful candidates would be less than the difference in the entire set). On the other hand, interview marks come only after this mains cutoff stage and there is a full range of marks given in interviews. So the difference in marks arising out of interview can be great leading to its increased effective weight. So neglect interview only at your own peril! And also unlike what many say interview is not purely ‘luck’ based. Barring few exceptional cases, most of the interviews contain questions 90% of which can be predicted and prepared well in advance! Wait for my blog post on interviews. – Subject: College graduation subject (Computer Sc.) didn’t have much relevance for me as I had done a lot of things after college. So I had done only very basic preparation of IT – current happenings and some theoretical aspects. My main field was economics which was running through my entire DAF (in hobby, job related to eco, optional eco, MBA done in finance – most people relate finance with economics). And economics is a subject where unless we meet an economist in the panel, the interview would be on current economic issues only. So decided to skip the theoretical portions and prepare only the current macroeconomic issues. We were facing high inflation and low growth, stalled projects, land acquisition issues etc. And a new government was there. So it was natural to expect questions on it and so I prepared these issues. Since economics was my main area, so I had to speak like an economist. Nothing less was expected. So remembered some key data related to IIP, WPI, CPI, GDP numbers etc. Developed mind maps containing 6-7 points on Why high inflation and Why low growth. The thing is in such issues everybody knows everything, but I had to speak like an economist. So from the first sentence itself, my understanding should be visible. This is possible only when we prepare these questions beforehand and not think about them for the first time in the interview itself. I have these mind maps on paper, so will upload scanned images on my blog post so that readers can get a clearer idea of what I am talking about. – Home state: Had prepared it last year as well, so this year mostly revised it and prepared some current issues (like refinery, jaipur metro, drug trafficking, socio economic scenario). Mostly internet based study particularly Wikipedia. For Rajput and modern history, read a book used in RAS history optional apart from internet. – Home district: I was brought up in Jaipur so prepared a few aspects of Jaipur (tourism places, economic activities, present problems etc.). But I was born in Bharatpur. In the summary sheet, only place of birth comes, so preparing place of birth is more important than preparing ‘home’ district. I prepared Bharatpur history, economy, tourism places, Keoladeo park, Salim Ali, ornithology etc. Mostly Wikipedia based study. – Job: I was trading financial derivatives at Citi. Most important thing for me was naturally financial crisis. I know a great deal about financial crisis naturally having seen it from the middle of it all, but when it comes to explaining it in 2-3 sentences, prior preparation is needed. So I prepared it and it was asked in the beginning questions itself last year. Then I also prepared history of Citi and its mergers, Salomon Brothers, John Meriwether, LTCM etc. Some preparation related to Vikram Pandit and Corbatt. – IPS: Had to study a lot about this topic this year as it was completely new. Prepared police reforms (studied all commissions setup since British era, watched Aamir Khan’s show, read many articles on internet) then prepared mind maps of 5-6 points to speak on various possible questions on police and bureaucracy reforms. Basically in such topics everybody knows everything. What matters is how we speak in first 2-3 sentences. However, they couldn’t find out I was already into IPS (as it was there in the DAF but not summary sheet from where they were asking), so no questions asked. Will upload the scanned copies of these mind maps in my blogpost. – Why IAS after IPS, IIM, IIT, Investment Banking: Spent a lot of time preparing this. Prepared it from all possible angles I could think. Came up with realistic answers. In both interviews, this was the first question asked. – Other DAF things: Prepared everything mentioned in the DAF. Will cover these in the blog post where I will upload my DAF and cover each issue. – Current affairs: Current affairs preparation for interview is different from preparation for mains. Basically people who are taking our interview are not preparing themselves. So they will only remember ‘masala’ news and not the boring committees and legislations etc. So have to cover masala news for interview and develop our own opinion on all such news items. Mocks: Yes. They were very helpful for me as I was cutout for private sector interviews, not UPSC interview. UPSC interview requires different kind of mannerisms and body language and this is what I learnt from mocks. Then I also got to know my weakness areas on which I worked. However, don’t rely blindly on whatever they say, apply your own mind before changing / preparing something. I am going to write a separate blog on it, maybe then you can add a link. The sole purpose of the attire should be that it doesn’t get noticed. I wore a shirt, trousers and a tie. Black shoes, clean shaved. You can read the UPSC interview transcript from the link. Note from ClearIAS.com : Gaurav Agarwal is a familiar face to the readers of Clear IAS, as Gaurav has already shared his UPSC interview transcript with us earlier. Any tips for aspirants going for UPSC Interview? Talked about above and will write a blog on it. Do you think that there is relation between profile of the candidate and interview marks? At a time when lot many candidates from top institutes like IIT, IIM or AIIMs appearing this exam, is there any matter of worry for other candidates from state colleges or those without work experience? Continued in Part 5 of the interview : Gaurav Agrawal (CSE 2013 Rank 1) UPSC Topper’s Interview – Part 5.